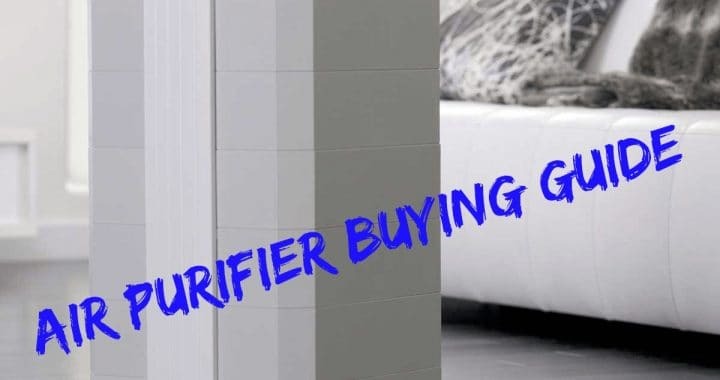 Whether you have a newborn or are on the verge of becoming a parent, you must be skeptical about getting air purifiers for your home, especially due to the many chemicals used in them. While some air purifiers are completely safe for babies, others can be incredibly harmful to them. Since the baby’s lungs are still in the developing stage, it is crucial for parents to keep the air around them as clean as possible. Smoking, dust or volatile organic compounds along with harmful chemicals can all dangerously affect the sensitive lungs of the baby. Let’s first try to understand how air purifiers work. There are millions of tiny particles that are floating in the air and with every breath we take, they enter our lungs. Patients with asthma or other allergies can have a serious and immediate reaction to dust and other harmful particles. An air purifier works to remove allergens and pollution from the air to prevent them from entering the lungs. It helps clean the air by ridding it of harmful toxins. While we tend to vacuum out dust, it has been researched that sometimes, these measures further aggravate the situation as dust particles are stirred back into the air. For this very reason, people use air purifiers to keep the air toxic-free. 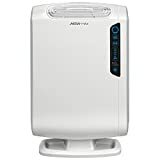 The air purifier that uses the HEPA filter works by pulling air toward the paper filter and trapping the particles within. The particles are stuck and cannot move back. It captures around 99 percent of irritating particles and makes it hard for them to escape. The carbon filter captures particles that create odor inside the house. The HEPA filter does not have this feature. Hence, the carbon filter will keep your home smelling nice and make it the haven you want it to be. The ionic filter is another technology which may or may not be used in all air purifiers. This filter works by sending ions into the air, which stick to the harmful particles. These particles then become heavy, fall on the ground and get trapped by the collecting plate. The ultraviolet lighting technique emits non-lethal radiation that attacks viruses and bacteria present in the air. It breaks their molecular structure, thus rendering them harmless. The lungs of newborns or babies, in general, are developing. Their smaller lung capacity leads to higher air intake than adults and is prone to infections and allergic reactions. One can never know the number of bacteria, molds, viruses and other allergens floating in the house. In fact, the air inside the house could even be more polluted than the outside. This is because homes are airtight and once any pollutant enters, it’s hard for it to escape. Unfortunately, nurseries and children’s rooms are at a high risk because of the airborne contaminants that new parents bring into the room. 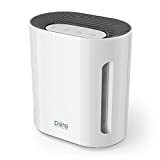 The crucial benefit that an air purifier offers to your baby is protection from pollen, viruses, bacteria, volatile organic compounds, pet dander, smoke, mold spores, odor particles, dust and other such particles. These two filters will keep the air around your baby clean without any harmful effects. You need both these filters to keep the air pollutant-free. 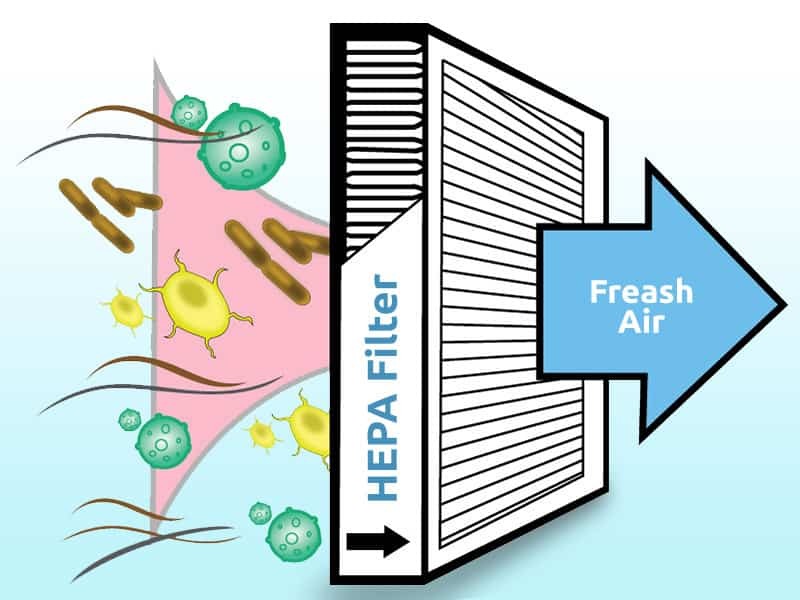 The HEPA filter can capture incredibly tiny particles of around 0.3 microns, which is seven times smaller than the thickness of a human hair. It locks about 99 percent of particles in the dense paper filter including mole spores, dander, pollen, dust, and bacteria. If the HEPA filter has an ionizing function, make sure to turn it off as that can be harmful to young children. The activated carbon, on the other hand, eliminates bad odor and all the volatile organic compounds floating in the air. When these harmful particles pass through the filter, they get trapped inside with no way to escape. Thus, when buying an air purifier, get one which offers these two filters. While these two technologies do a great job of eliminating pollutants from the air and can be beneficial for adults, they can adversely affect the health of your baby. The ozone generator diffuses ozone in the air, which can cause health issues like respiratory, nasal and eye issues in newborns and babies. Similarly, the ionic air purifier is safe for adults but can cause health problems in infants. This technology emits a certain level of ozone when it is purifying the air as a byproduct. Even a small amount of ozone can cause serious health issues in babies like respiratory disorders and organ damage. Hence, you need to avoid the two like the plague to ensure the health of your child. Now you will know what’s safe and what’s not for your baby. 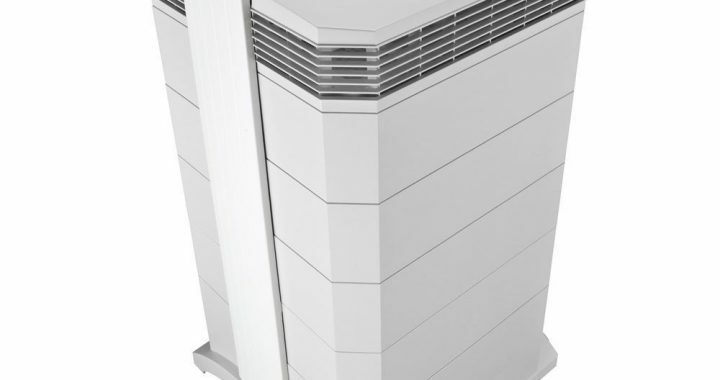 We wanted to show you three best air purifiers in our opinion to buy. This will save you a ton of time because we did the job for you. No matter which air purifier you choose, they will work. 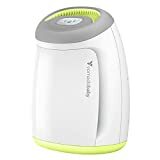 Based on the above discussion, it can be safely concluded that air purifiers are safe for babies, given that they do not include harmful ozone-emitting filters. If you’re making a purchase soon, look for air purifiers that offer the true HEPA filter and activated carbon filter. These two filters offer the same quality and purifying feature but in a safe and effective manner which is suitable for babies. Posted in Air Purifiers, Allergens and Pollutants, BLOG, Indoor Air Quality and tagged Air Cleaner, Air Purifier, Air Purifier review.